Enjoy boat trips, swimming, observatory tours, boutique shopping, inventive restaurants and pampering lodgings in this hamlet 80 miles northwest of Chicago’s Loop. Strolling the footpath encircling sparkling Geneva Lake, you can’t help but feel a little awe. Native Americans softly padded this same path for millennia, starting around 2500 B.C. Later, in the late 1800s and early 1900s, Chicago’s elite—the Wrigleys, the Schwinns, the Maytags—constructed immense summer homes around its crystal-clear waters. Today, thanks to the footpath’s legal designation as a public passageway, anyone can walk past these impressive estates and gawk. In fact, that’s one of the major pastimes here in Lake Geneva (population: 7,821). Come summer, Geneva Lake— Wisconsin’s second-largest spring-fed lake—gets busy with boaters, swimmers, parasailers and paddleboarders. Nearby boutiques sell unique home goods, classy furniture, antiques, fine art, funky clothing and repurposed found objects. The new Studio Winery offers tastes and live music. A longtime draw remains: free tours on Saturday mornings at the 120-year-old Yerkes Observatory, part of the University of Chicago and home to the world’s largest lens telescope. 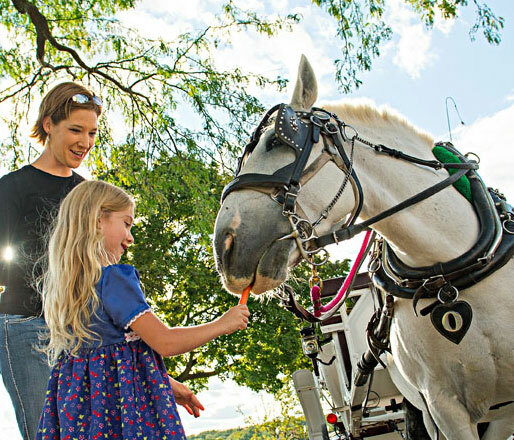 Horse-drawn carriage rides weave through Lake Geneva. Newcomers to the dining scene offer fresh perspective, with dishes like fettuccine with smoked salmon and tender filet mignon complementing the standard burger-and-fish-fry scene. Ditto for drinks; you’ll find sake martinis, fine wine and craft brews (the best: Finch’s Secret Stache Stout at Sopra). The well-known places to stay in this resort town have built on their storied reputations with renovations and new amenities. At The Abbey Resort and Spa, lavish treatments promise pampering, and three on-site restaurants make mealtimes convenient. Kids splash in the Timber Ridge indoor water park on the site of the Grand Geneva Resort and Spa, where the beds are soft and inviting. The Native Americans from long ago would marvel at the development-—but recognize what spurred it. 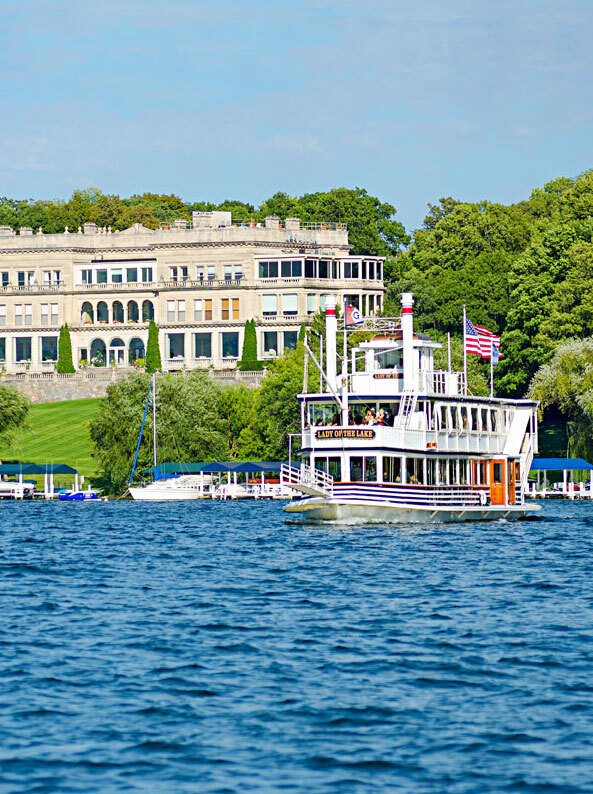 Take a tour on The Lady of the Lake to hear a narrative history of Lake Geneva and its big-name summer residents. 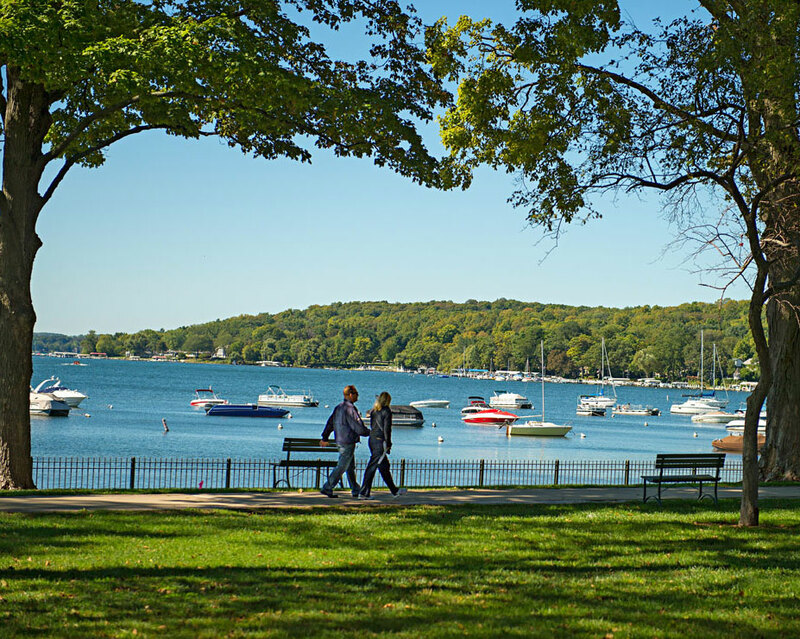 Tour the Geneva Lake Shore Path on your own or join organized groups. Lose yourself in Brick and Mortar Home, where you’ll find candles, decorative throw pillows and kitchenware. (262) 249-0210; brickandmortarhome.com. Maple Park Antiques draws you in with an intriguing mix of items on the porch, including fat 1940s-era waterskis. (262) 248-1802. The artsy basement shop at Refined Rustic Studio and Gallery carries a wonderful selection of home decor items made from artfully repurposed found objects. (262) 249-0940; refinedrustic.com. 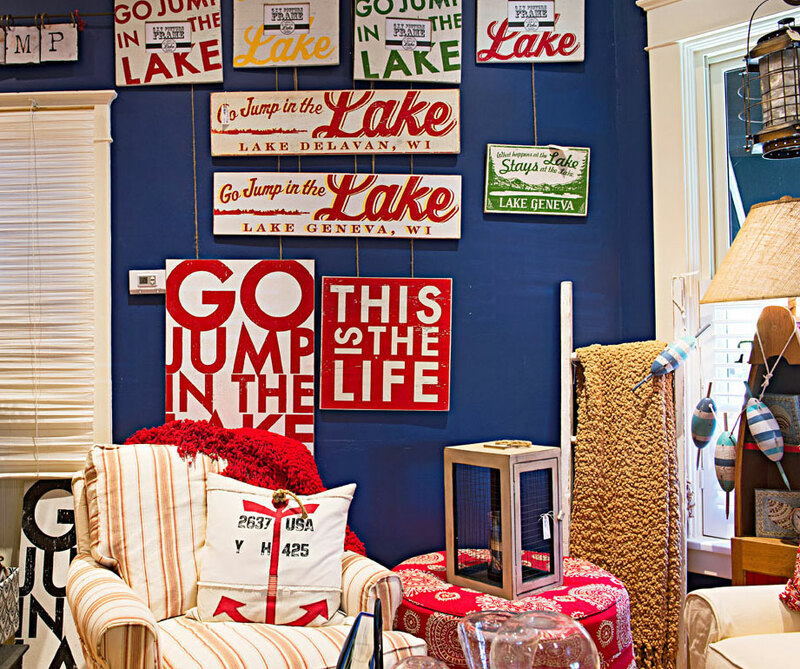 You’ll find lake-inspired decor at Brick and Mortar Home. The immense Cornerstone Shop and Gallery carries home and women’s merchandise from more than 350 vendors (cornerstoneshoppe.com).